can do just in a few taps. RNI Films offers desktop quality image rendering and output. This is to take full advantage of the latest iPhones – perhaps the best mobile cameras in the world. RNI Films' filters are created after real films and simulate look and feel of particular film brands. 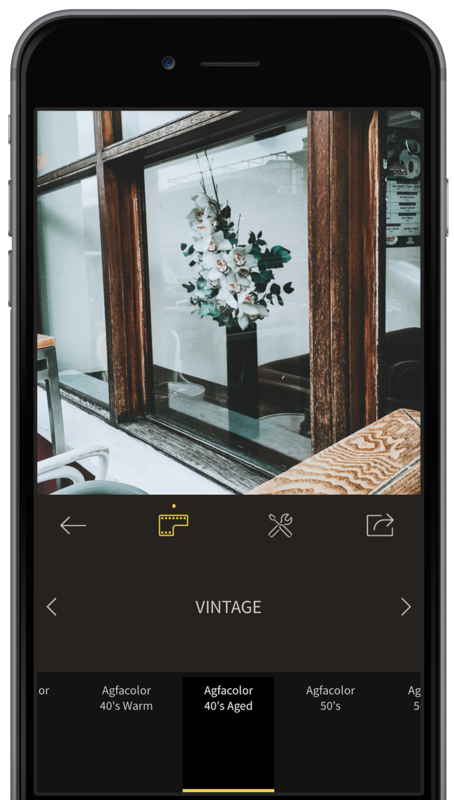 Very much like RNI Films for desktop, RNI's mobile filters are subtle, beautiful and true to their analog counterparts. RNI Films UI is simple and efficient. It requires the absolute minimum of taps between opening a photo and sharing the desired result. This is a great and stylish application! It makes my shots look gorgeous like a professionaly made photographies. I like RNI for it's wide library of professional films filters and very beautiful minimalistic interface. It brings benefit every day and this is the only app I need to edit my photos.